The Prop has been dominating since the start. This board helped Drew win his first 2 world titles. The full rails help hold the board stable on the wave. The round pin tail keeps this board flowing through turns for riders of all sizes. 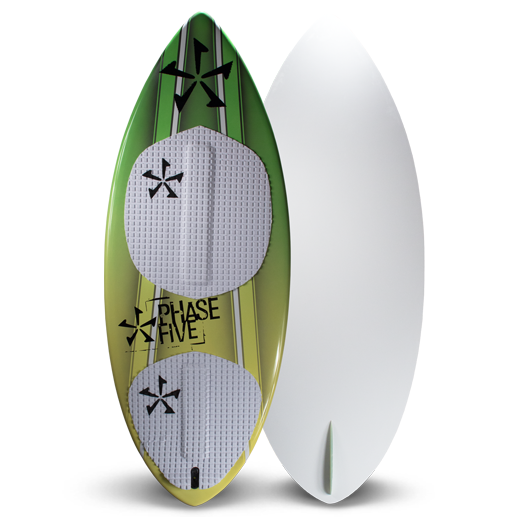 With a skim style single fin set up this board is forgiving enough for beginner riders, but can handle everything the advanced rider can throw at it. The Prop has been a key board for the past 15 years. 54	54″ × 20.3″	.75″	5’4″ – 6’2″	190 Lbs.